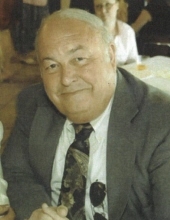 Thomas W. Saucier, 69, of Hattiesburg, passed away Friday, April 12, 2019 at Asbury Hospice House. Visitation will be Wednesday, April 17, 2019 from 9:30 – 11:15 a.m. at Moore Funeral Home in Hattiesburg, with graveside services immediately following at 11:30 a.m. at Roseland Park Cemetery. In lieu of flowers, the family requests donations be made to St. Jude Children’s Research Hospital. To send flowers or a remembrance gift to the family of Thomas W. Saucier, please visit our Tribute Store. "Email Address" would like to share the life celebration of Thomas W. Saucier. Click on the "link" to go to share a favorite memory or leave a condolence message for the family.